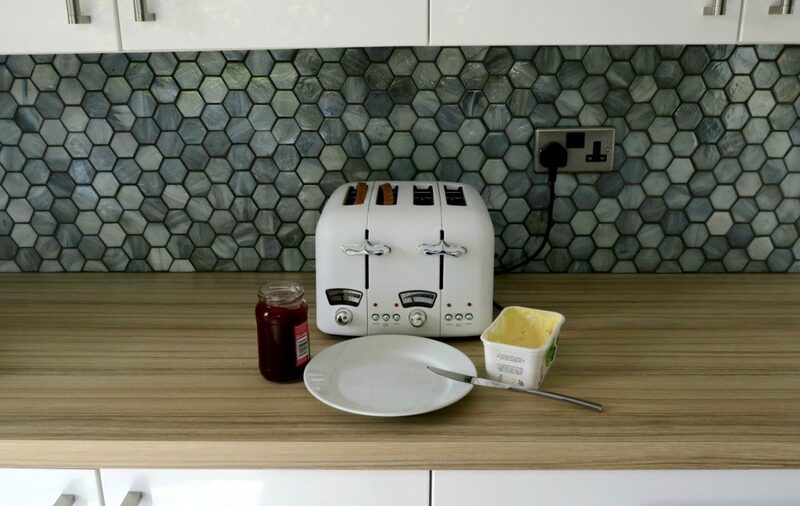 Whilst we have been renovating our kitchen I have started to slowly update our appliances, and try to co-ordinate them with the new colour scheme. People thought I was mad having a white kitchen (I would have had white worktops if they weren’t so expensive!) 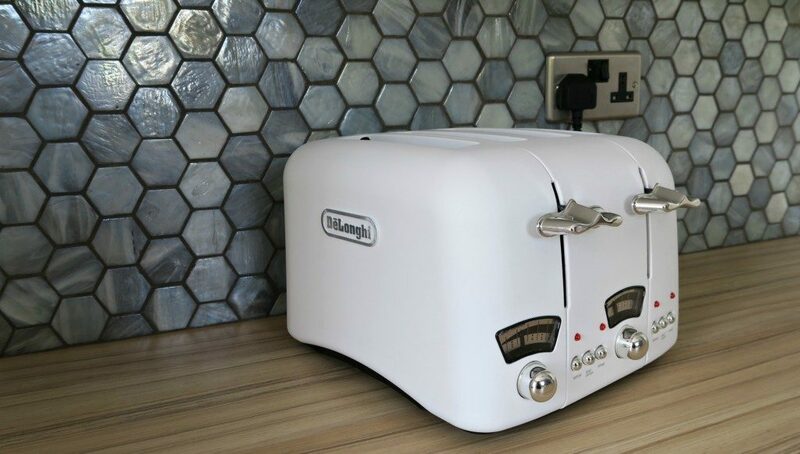 but I wanted to create a light airy room.I haven’t stopped at just the units, I am now a proud owner of a Delonghi Argento Toaster in WHITE! How stylish is that, I love it. I think it works really well against the funky tiles and white units. The detail and styling is really nice, with a metal outside (so be aware this could get hot) and silver controls. 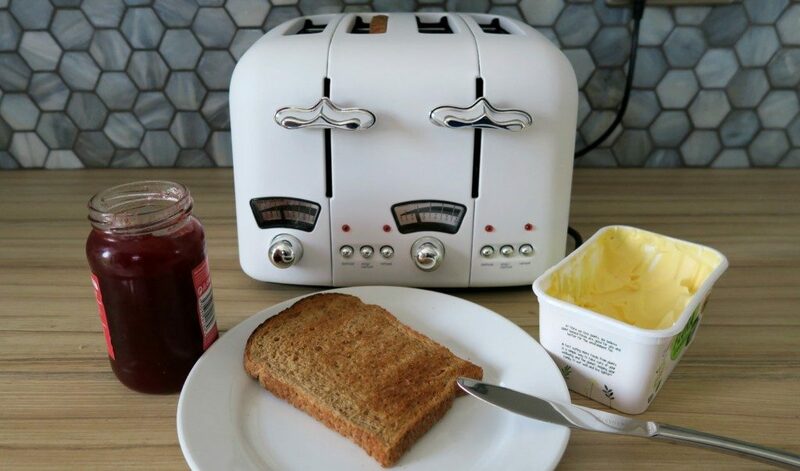 When it comes to functions, the Delonghi Argento Toaster has everything you need. 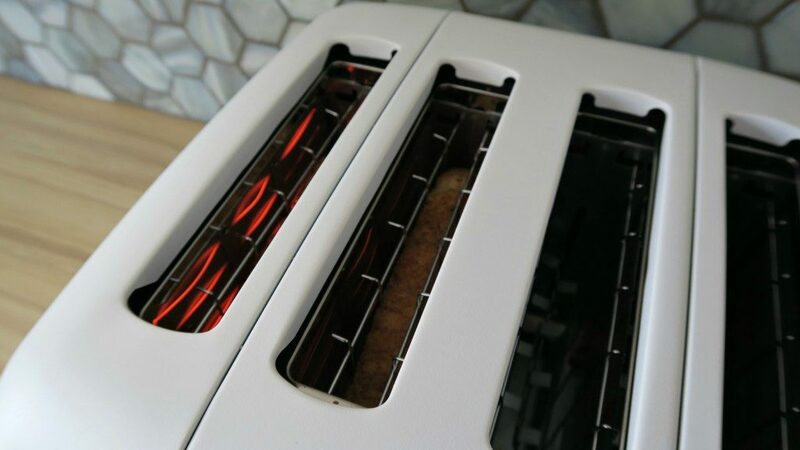 Re-heat function, very handy if you are a busy person and forget your toast is cooking. Easily done in my house! 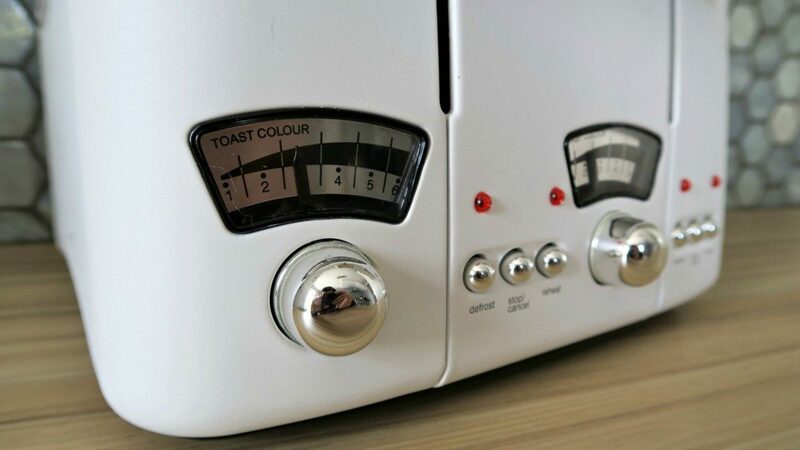 You can set your ‘toast colour’ on the front, with a very cool looking turner and window. It takes 4 slices of bread, which is a must in our house. We have 5 people and up until now we’ve only had a 2 slice toaster, the ones that cooked first were always cold by the time I dished it up. Also the Delonghi Argento Toaster comes with a 1 year guarantee. I did have a problem with one type of sliced bread, a Warburtons white slice bread fitting in the toaster. This was a little disappointing, but I expect it must have been an extra large type of bread as all other ones since have been fine and fitting with no problems. 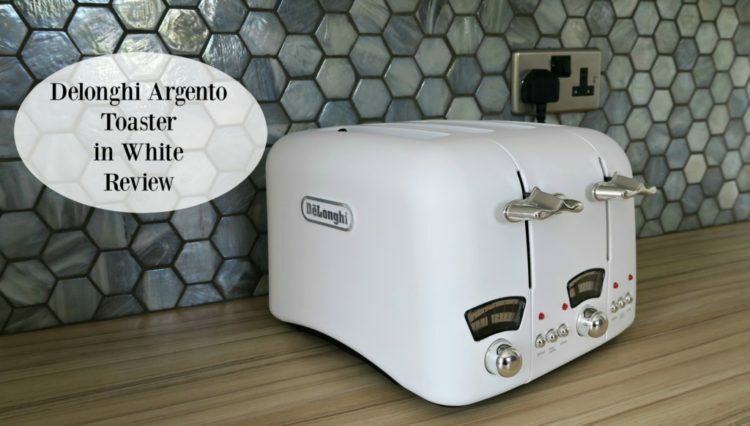 * I was sent Delonghi Argento White Toaster for the purpose of this review, however all words and opinions are honest and of my own. Oh, I love Delonghi kitchenware. Have been agonising for ages over the khaki green or cream but now I’m thinking white! This all looks fantastic and great to hear the quality is as good as the design.